In the campaign for a Sedgwick County Commission position, character is an issue. It’s richly ironic that Nicks makes character an issue, because his campaigning is rife with outright lies and logic-twisting distortions about his opponent Richard Ranzau. And if Hugh Nicks values respectful debate, he could elevate the discourse by stopping the lies. This campaign has gone beyond the usual character-bashing and self-promotion we expect. It’s not only Nicks himself that is campaigning dishonestly. The Wichita Regional Chamber of Commerce PAC is also lying and distorting. It’s true that the Chamber PAC is campaigning for Nicks (and against Ranzau) independently. The PAC speaks for itself. But if Hugh Nicks is aware of the dishonest campaigning by the Chamber PAC, there’s nothing to stop him from publicly denouncing and disavowing the Chamber. That would be a positive display of character, showing he values truth more than holding political office. Instead, Nicks embraces and promotes the Chamber PAC’s endorsement. Hugh Nicks, should he lose the election next week, will fade from public attention. But the Wichita Regional Chamber of Commerce and its PAC won’t. The Chamber will still be involved in civic life and political campaigns. That’s too bad. The people of Wichita want to trust their business and civic leaders. We want the Chamber and its surrogates and affiliates like Greater Wichita Partnership to succeed in shepherding the Wichita economy. But the Chamber is shaming itself in this campaign. Allegation: On July 23, 2018, Hugh Nicks wrote on his campaign’s Facebook page: “Richard Ranzau has spent the last 8 YEARS saying ‘NO’ to our safety. Voting against support for law enforcement.” An article from the Wichita Business Journal is then linked to. The subject of the article was the proposed WSU Law Enforcement Training Center. Truth: The article reports that Richard Ranzau and all commissioners voted to defer a decision on the training center for one week. Then, Ranzau and all commissioners voted in favor of building the center. For more on this, see Hugh Nicks and the law enforcement training center. Truth: Richard Ranzau asked questions about a proposed ADA-compliant fishing dock with a cost of $53,500. The next week commissioners were told that the dock cost was just $26,162, with other things like site prep, a sidewalk, and an access road adding up to $53,500. With this additional information, Ranzau and all commissioners approved the project. For more on this, see Hugh Nicks and the Sedgwick County fishing dock. Truth: This claim is based on a farcical interpretation of what the commissioner actually said. Richard Ranzau did not suggest that Wichita annex Spirit Aerosystems. 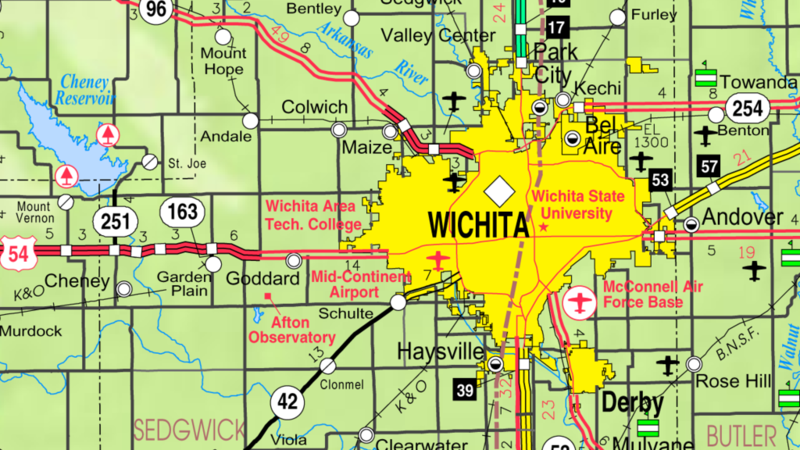 He merely illustrated that property taxes within the City of Wichita are higher than those outside the city. For more on this, see Wichita Regional Chamber of Commerce PAC mailing. Truth: Regarding the WIC program, no needy women or children went without the ability to use this program. The commission voted to reduce spending on administrative costs. The commission does not have the authority to set qualifications for participating in the program, nor does the commission set the level of benefits, that is, the amount of money and services participants receive. The county merely administers the program according to federal and state guidelines. For more on this, see Hugh Nicks: Misinformed, or lying? Truth: The article Nicks uses as evidence states: “Sedgwick County Commissioner Richard Ranzau took on the Greater Wichita Partnership on Wednesday, questioning why the public-private economic development coalition needs more county money to focus its strategy.” This extra funding was to pay for a consultant to focus on a strategic plan and regional strategy. It wasn’t for funding the basic operations of GWP. Lies from the crony chamber that lusts after city or county tax funds? That is as surprising as the sun rising in the east each day. Having the chamber’s puppet candidate joining in the tall tales is no surprise either. Hugh Nicks has run a despicable campaign that is low on facts, high on exaggerations, and filling my mailbox with his trashy mailers (I’m including the chambers print lies too). Nicks’ campaign seems to have unlimited funds from the special interests to run this fraudulent, fact-free crud. Naturally, Nicks has the liberal Eagle’s endorsement too. We know who the liberal news media in this town favors. I can only hope that the voters will join with Ranzau and once again defeat the candidate of the special interests.